It’s a word those in sports media like to throw around in radio conversations, television debates and web articles like this one. But usually, the word “legacy” is only associated with the all-time greats, designated for those who’ve left such an indelible mark on their given sport that the press is left to wonder if anyone will ever come along to top their heroic, historic feats. Typically, “legacy” is considered solely when a player puts up a career for the ages. But why does that have to be the case? Legacy basically boils down to the notion of how someone will be remembered, as in how future generations will speak of a given player and his abilities/accomplishments on the field/court during his time. Sure, everyone loves to talk about the legacies of LeBron James, Michael Jordan, Kobe Bryant, etc., because that’s easy. When someone is as widely-known as His Airness, conversations on his mythos don’t require any research or hard work, because nearly everyone one could meet is bound to have an opinion on such a global celebrity like Jordan. Weighing the legacy of the common player, on the other hand, is much more difficult. It’s a shame, since all of us sports fans neglecting to care about the historical significance of B-and-C-level athletes are failing to realize that, in the game of life, none of us are Jordans. We’re all average, of minor importance to the larger picture in this world, and there’s nothing wrong with that. Similarly, there’s nothing wrong with being an average-skilled NBA player. 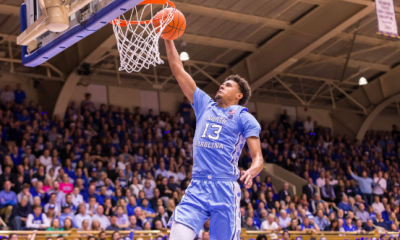 Reaching that point means one has outlasted approximately 99.9 percent of the basketball players on Earth, and that feat should be celebrated. There’s no shame in not becoming the next Jordan because that would be practically impossible. Everyone has a legacy, no matter how sweeping an impact their legacy has on those who come after them. Only a select few have stories as paramount to the successes and failures of those who follow in their footsteps as Jordan or LeBron. But everyone’s got a story, and despite the low level of interest an average person’s story may initially present to the outsider, all stories hold infinite value to someone, if only to the subject his or herself. This is the story of Rodney Hood as a Cavalier. His legacy in Cleveland is utterly inconsequential in significance compared to that of LeBron. However, everyone’s got a story, and it’s about time someone told the story of Hood’s legacy in Northeast Ohio. 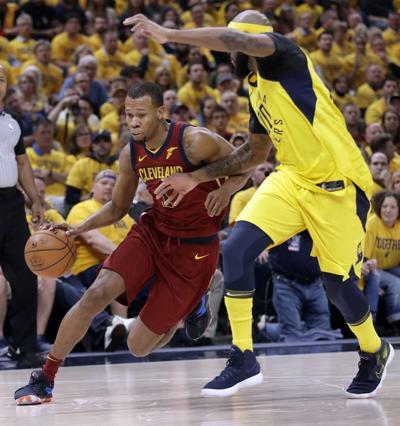 Rodney Hood was 25 years old the first time he donned the wine and gold of the Cleveland Cavaliers, on Sunday, February 11, 2018. The Cavs were in Boston to take on the Celtics, their bitter Eastern Conference rival, with a few new weapons at their disposal. 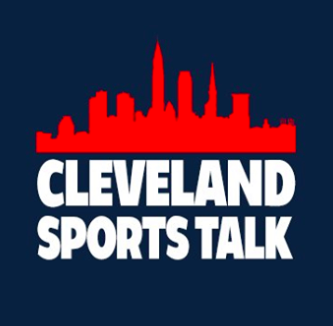 Only three days prior, Cleveland had undergone one of the most extreme in-season transformations in NBA history, shipping out six players in a matter of hours just before the trade deadline. Gone were Thomas, Crowder, Rose, Wade, Shumpert and Frye; in came George Hill, Larry Nance Jr., Jordan Clarkson, and Rodney Hood. Hood had been traded to the Cavaliers by the Utah Jazz, who’d decided to let him go after a three-and-a-half year relationship that began when the team drafted Hood out of Duke University with the 23rd overall selection in the 2014 NBA Draft. 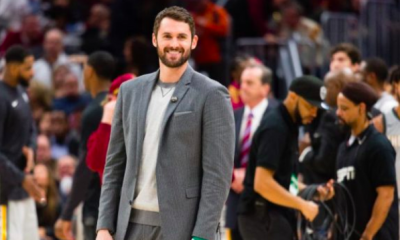 For the bulk of his years in Utah, Hood had played second fiddle to Gordon Hayward, the small forward who’d departed for the Celtics in the 2017 offseason via free agency, only to sustain a brutal injury against the Cavs on Opening Night that ended his season and threatened his potential ability to walk (he’s since made a promising recovery). For that first chunk of the 2017-18 season, in the absence of Hayward, Hood dazzled, averaging more field goals, three-pointers and points than he had in his entire career. Rookie Donovan Mitchell’s sizeable contributions were a pleasant surprise, but make no mistake about it — this was Rodney Hood’s time to shine. Well, until it wasn’t. In one moment, Hood was on a 26-28 team in the Western Conference. In the next, he was on a 32-22 team in the Eastern Conference. His new team had been to three straight NBA Finals, winning one. Oh, and even more importantly: he was now teammates with LeBron James. It’s tempting to rule Hood’s whole performance that season with the Cavs as a missed opportunity to play to his full ability, given his inability to do so for a large portion of the playoffs that year. But despite what one might assume, in 2017-18, Rodney Hood’s regular season performance with the Cavs eclipsed his postseason performance. Starting with that game at Boston, the first game in which Cleveland had its complete “new” team, Hood put up good numbers, continuing the trend he had set for himself in Utah but in a different role with the Cavs. Although the sample size was small (21 games, 11 starts), Hood still found a way to average the highest field goal percentage of his career at .442 as well the highest two-point field goal percentage of his career at .492. As he was prone to come off the bench in Cleveland, some statistics naturally went down with a decrease in reps, such as threes, free throws and points, even though his minutes per game were only down slightly. Heading into the playoffs, Hood served as JR Smith’s backup at the shooting guard position. 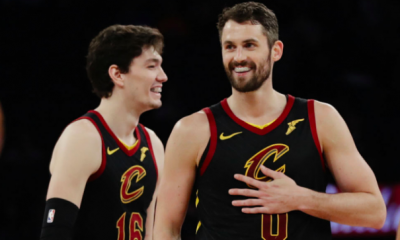 Cleveland clinched the fourth seed in the East, and in their first-round series against Indiana, the Cavs battled the Pacers for seven games before finally besting them at home in Game 7. The highlights of the series for Hood came in Game 1, a 98-80 loss and the only game he started all postseason, as well as in Game 6, when he put up 12 points and three defensive rebounds in roughly 25 minutes of work. However, the Cavs weren’t so thrilled with Hood’s play in Game 6, seeing as his whopping -27 plus/minus helped give the Pacers a 34-point victory. Hood drives to the lane against the Pacers! In the Conference Semifinals, the Cavaliers got a lucky draw in the Toronto Raptors, a team LeBron and the Cavs have always beaten in the playoffs. This time around, the result wasn’t any different; Cleveland swept the “Baby Dinosaurs” and moved on to play the Celtics in the Eastern Conference Finals. But before they did, a strange event unfolded at the tail end of Game 4: Rodney Hood turned down an opportunity to play. Apparently, he saw himself as more deserving of “real” minutes than the Cavs did. Head Coach Tyronn Lue attempted to insert Hood into the contest once it was clearly over, which upset Hood, who had no interest in racking up numbers in meaningless garbage time. This had the potential to be a distraction and a problem in the Boston series. Hood only played in three of Cleveland’s seven games against the Celtics — all of the losses. He did score 11 points in about 19 minutes in Game 1, but those were mostly garbage time minutes, which he had begrudgingly accepted. 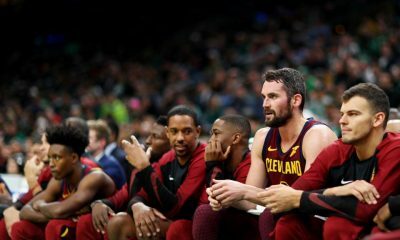 The Cavs defeated the Celtics in the series, but since Hood didn’t see the court for even a second in any of the wins (not even in the 30-point Game 3 blowout), it hardly felt as if he was even part of the team. In the NBA Finals, the Cavs had no business playing the Warriors, the far superior squad. Golden State swiftly ended the series in four games. Rodney Hood received partial redemption when he finished in double digits in points in back-to-back games (Game 3 and 4). 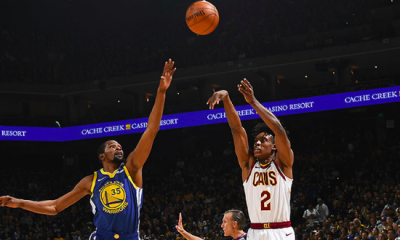 Game 3 was particularly good for Hood’s mentality moving forward, as he registered his highest point total of the playoffs at 15 and assisted in a game that the Cavs had a chance to win. Cleveland ended up losing only by eight; had the Cavs somehow been able to pull out the Game 3 victory at home, maybe Hood would have seen more meaningful minutes in more meaningful games. Instead, Game 4 was over before it started, Hood scored 10 garbage points, and the Warriors won the championship at Quicken Loans Arena for the second time in four years. LeBron left less than a month later, and all of a sudden, Cleveland needed a different kind of team with different kinds of players than it had in years past. With a quiet rebuild in mind, the Cavs re-signed Rodney Hood as a free agent prior to the 2018-19 season. 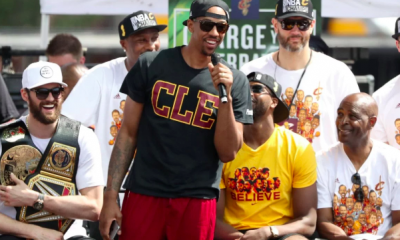 James was gone, so Hood would definitely see the court more often and in moments that actually mattered, a fact that surely enticed Hood to return to Cleveland. And once the season began and Hood was starting over veteran JR Smith, Smith decided to step away from the team, essentially freeing Hood of any and all competition for the starting SG position. In 45 games played for the Cavaliers this season, Rodney Hood started all 45. At 27.4 minutes played per game, his playing time was similar to what it was at the end of his run in Utah, as was his point average of 12.2 per game. But a situation similar to the one with the Jazz in 2017-18 was also a warning of things to come for Hood. If a player is putting up numbers reminiscent of those he put up at a different time in his career with a different team, that could mean the kinds of teams for which he played at both points in history could be similar. 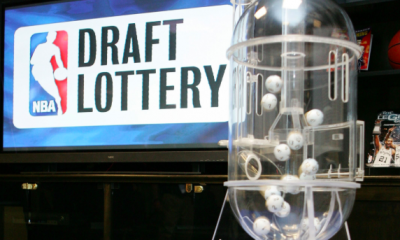 And if one team ended up dealing said player at the deadline, the other could very well end up dealing him as well. 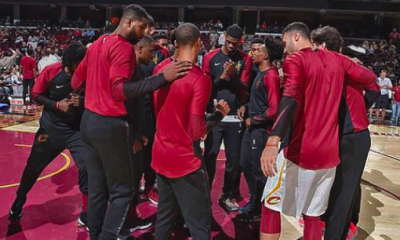 The Cavs had been dwelling at the bottom of the Eastern Conference standings all year, and as the trade deadline loomed, an opportunity presented itself for Cleveland to stock its roster with youth. 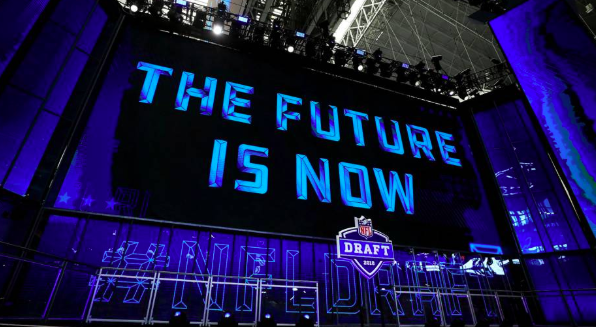 A team in Cleveland’s position doesn’t have a real need for a guy like Hood, so on February 4, 2019, they sent him to a team that did. 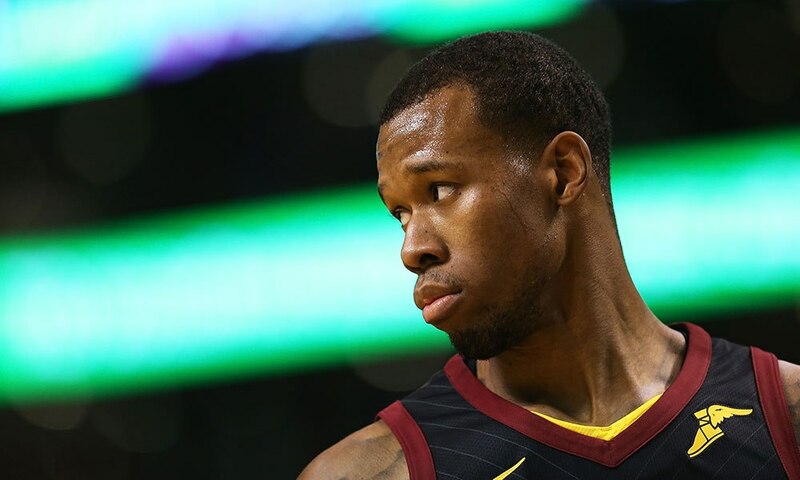 Rodney Hood was traded by the Cavaliers to the Portland Trail Blazers in exchange for two future second-round draft picks, Nik Stauskas and Wade Baldwin IV, both of whom have contracts that will be ending after the season. Just like that, Hood’s tenure in Cleveland had come to an end. Nearly a calendar year after arriving, Hood left the shores of Lake Erie for the great Pacific Northwest. And although he wasn’t a beloved member of the Cavaliers during his time here, Rodney Hood deserves our well-wishes. 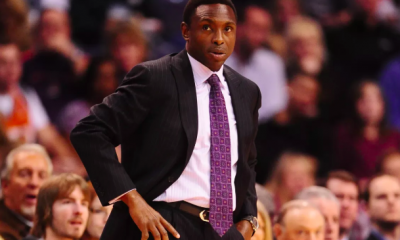 He’s a talented basketball player, and even though his rebellious views toward the way Tyronn Lue managed him last postseason caused a bit of an issue at the time, he ultimately didn’t let that choice to refuse garbage minutes define him or his days in wine and gold. The legacy of Rodney Hood in Cleveland will not be of extreme interest to Cavs fans in the distant future. But he’s a player who’s earned my respect, and as he departs for Portland, I can rest easily, knowing his Cleveland story has been told.